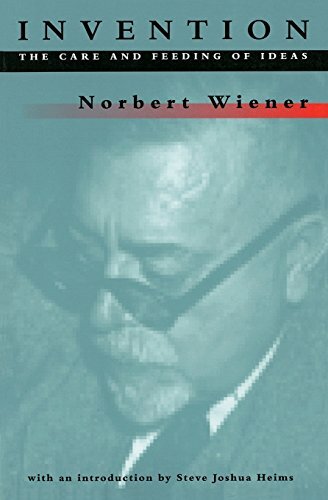 “Internationally honored for achievements throughout his career, author of Cybernetics, ExProdigy, and the essay God and Golem, Inc., which won the National Book Award in 1964, Norbert Wiener was no ordinary mathematician. With the ability to understand how things worked or might work at a very deep level, he linked his own mathematics to engineering and provided basic ideas for the design of all sorts of inventions, from radar to communications networks to computers to artificial limbs. Years after he died, the manuscript for this book was discovered among his papers. The world of science has changed greatly since Wiener’s day, and much of the change has been in the direction he warned against. Now published for the first time, this book can be read as a salutary corrective from the past and a chance to rethink the components of an environment that encourages inventiveness.